!!!!! ACCES UNIQUEMENT AUX CONCERTS DU FESTIVAL !!!!! !!!!! ACCESS ONLY TO THE SHOWS IN THE FESTIVAL !!!!! 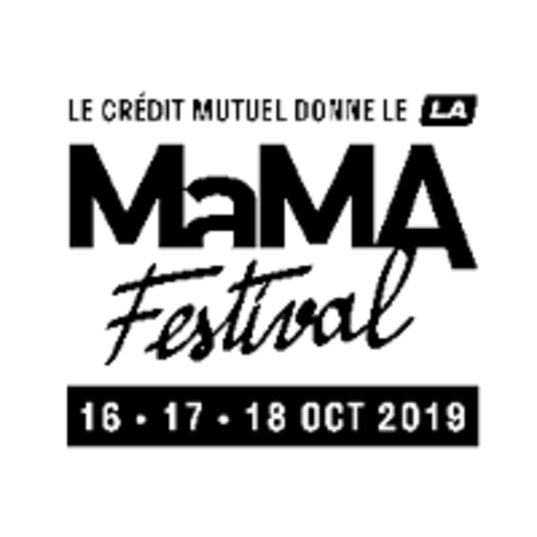 MaMA FESTIVAL 2019 - 16/17/18 OCT. PASS 3 JOURS = + 100 CONCERTS // TARIF SUPER EARLY BIRD EN VENTE !!! LES BILLETS ACHETES SERONT A ÉCHANGER A LA BILLETTERIE CENTRALE CONTRE UN BRACELET (LE PASS, REMIS DE FACON INDIVIDUELLE) QUI DONNE ACCÈS A L’ENSEMBLE DES SALLES* DU FESTIVAL dans la limite de la capacité de chaque lieu. - Un justificatif sera obligatoirement requis en cas de tarif réduit (- de 25 ans, Etudiants, Chômeurs). PASS TO COME AND GO INTO THE DIFFERENT VENUES. 3 DAYS PASS = +100 SHOWS // SUPER EARLY BIRD RATE ON SALE NOW!!! - Tickets to exchange on site against a wristband @ Box office. No ticket will be allowed at the venues' entry. - Only the wristband will be allowed at the venues entry subject to availability depending on the different capacities of the venues. - Each ticket is unique and considered as a pass. In exchange of it, you’ll have a wristband which shall be fixed on your wrist by our team. Each person who wants to access the festival has to present him/herself at the box office. No wristband will be given without having been fixed by our team. - A document proof will be asked in addition to tickets in case of special rate (-25 years old, Students, Unemployed persons). Une pièce d'identité pourra être demandée conjointement à ce billet électronique.